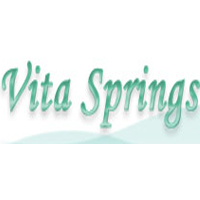 VitaSprings.com was Established within the year of 2001, we are now carrying over 20,000 health supplements, including anti-aging formulas, bone health, vitality, vitamins, nutritional supplements, heart health, skin care and many more. Numerous customers have selected us due to our fast delivery, professional service and high quality products. In the past 9 years, we have provided convenience for customers all over the world with cordial service, credit standing, quality merchandise and nice costs.